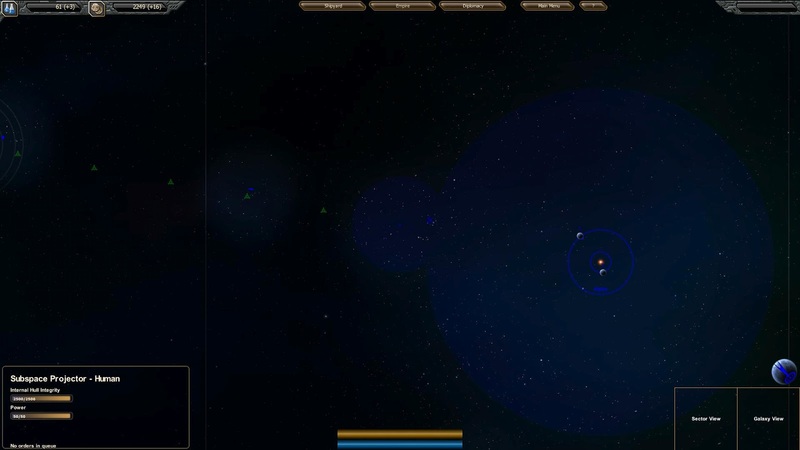 StarDrive is an in-development 4x game by Zer0sum Games. It's actually a project I Kickstarted, because there can never be enough 4x games! 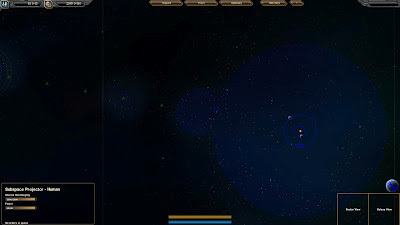 The game is currently still in development, but a number of improvements have been made. First, they signed a deal with Iceburg Interactive for publishing. Congrats to them! Now on to a quick look at the beta. 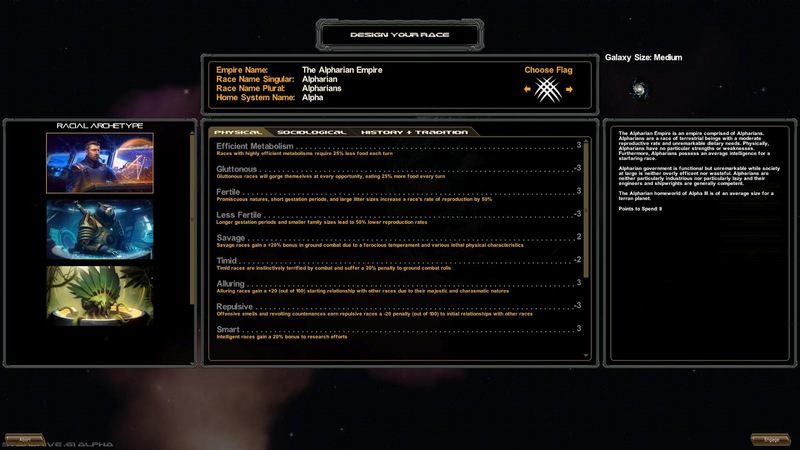 The Race selection screen is coming together nicely. This screenshot does not really do it justice because the portraits on the left are actually animated and look great. The art has been coming along very nicely! This screenshot shows Subspace Projectors. These installations are automatically built (by your planets) to connection two colonized systems. They are new to 4x games, so I asked the developer about them. Subspace projectors are used to extend the area of influence for your empire. This is important because you can warp for free while inside your borders. Outside of your borders, you pay a massive power penalty for warping. As you tech up, you can even gain bonus movement speed while inside the influence of your projectors. The concept is that you will build 'roads' with these to speed movement within your empire. Furthermore, as you tech up, you can add warp inhibiting effects to your projectors, which slow enemy movement speed within your borders, or even prevent enemy FTL altogether.